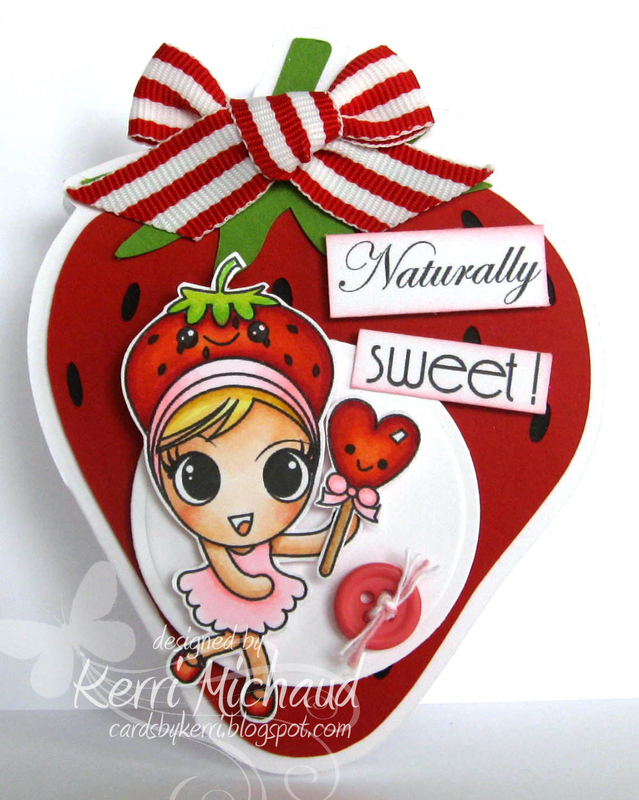 Sparkle Creations Rubber Stamps Preview~ Karber Strawberry! Hello! I told you today's preview was adorable! This is a new set that will be available tomorrow called Karber Strawberry! It comes with this super sweet gal, and several fun treat images that she can hold. This sentiment also comes with the set. I just love her strawberry hat, and thought it would be so much fun to make a strawberry shaped card. I looked in the Silhouette Online Store, and sure enough, I found this awesome file by Alaa' K-love it! Be sure to visit all rest of the SCRS designers for more peeks of Karber Strawberry Set. Sparkle will be giving away Karber Strawberry Set to one lucky person! For a chance to win, you need to comment on all of the designer's blogs (list below). Then head on over to the SCRSblog and comment on the Karber post. You have until midnight EST each day to comment. The lucky winner will be announced the following day! I'll be back tomorrow with one final preview, and you definitely won't want to miss it! So super sweet! Thanks for stopping by and have a fantastic Friday! Darling, Kerri! LOVE the strawberry shaped card as it is perfect with this cutie!